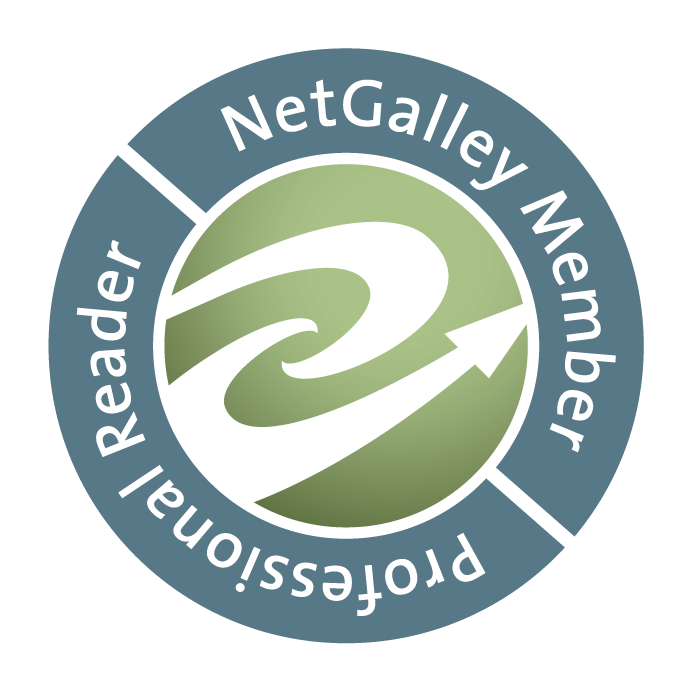 Visit Jen at Teach MentorTexts and Kellee and Ricki at UnleashingReaders to see what they've been reading, along with everyone else who shares. 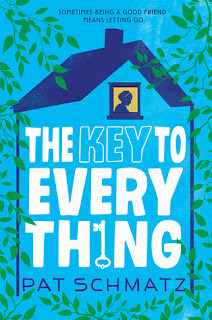 Is there a "key to everything"? There is one KEY, one that serves as the underlying theme of this story of more than one person who is trying hard to overcome hard things, and especially Tasha, or Bug or Kid, eventually Tash. She's survived being left alone at a very young age by her father who ends up in prison. There is little blame but for too much drink and poor choices, but his brother, Tash's Uncle Kevin saves her, becomes her dad. And when that "aloneness" feeling pushes her into "ragers", he's there, and so is the next-door neighbor, the one who never leaves her home, Cap'n Jackie. She's an older woman that fights her own demons but she loves Tash, the 'Kid' and they have forged an unlikely relationship. 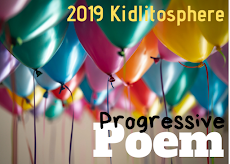 Tash's and Kevin's lives are tense throughout the story, beginning with Kevin planning a month's trip and signing up Tasha for a sleep-away camp. There's another rage to no avail. She does go, but not before hate-filled words are spoken to both Kevin and Cap'n Jackie. That magic key that's been so important to Tasha's and Cap'n Jackie's relationship is thrown in anger back to Jackie. Camp turns out okay, but coming home is not the happy time Tash imagines. Her "Cap'n" has disappeared, so has the key, and finally, they discover she has fallen, broken her hip and is in a rehab center. The rest is a story of heartbreak, yet also hope, some resolution with Cap'n Jackie's nephew Nathan, another child she helped. Pat Schmatz has managed to write a complex story that shows how much people need love and support in their lives. It's not a long book, but caring words rule the lives of most of these people. I would have liked to have some of the references to people, and the history between Tasha and Cap'n Jackie developed further. I imagine some readers will like connecting to the feelings and experiences. There are some tough scenes in the rehab/nursing home that I felt were stereotypical, like unfeeling and lazy workers. I realize that they may represent some places, but I know they are not like all homes. In all, I enjoyed the story, the characters' love and support for each other. Thanks to Candlewick Press for the Advanced Copy. This book came out early in May. I enjoyed this imaginative story very much, and the illustrations are lovely, too. A turtle feels so very lonely inside his shell. It was dark in there, so he made some changes. First, he built a deck, and the idea grew and grew some more. You will be surprised and delighted to discover what happens to one who is lonely and decides to do something about it. Finding and welcoming friendship and community is a good thing, especially if you are a turtle! With those very few words he chooses for his alphabet, a story emerges where kids will smile, chuckle, laugh, then guffaw. It's hilarious! 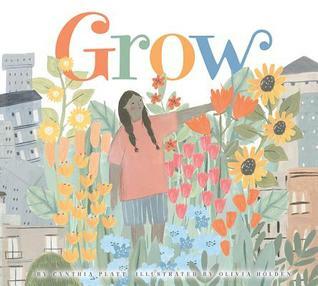 This is a pretty, cumulative book that tells the story of a seed, of a plant, and a seed, of an idea, that grows into something quite wonderful. I don't know if it's based on a true story. There is no added note, but it's a nice story that could help readers see how one idea pursued leads that ended in something to celebrate. I've had a few students who vacation on lakes where there are high rocks that invite rites of passage to grow old and brave enough to leap from them. This is that story, told through the eyes of a younger brother whose thoughts show his admiration for his older brother: "He always made everything look so easy. He is a cat. He is a bird. He is fish." Those lines push him into this rite, too. And I cannot tell more. Yves Nadon's story of this sweet brotherly time, told with love, shown with amazing illustrations by Jean Claverie must be held in one's hands, read aloud and seen! Next - Yes, I have started The Robot Escapes, loaned by my granddaughter who loved this second one, too. And I will soon start John Green's Turtles All The Way Down, a "must read". Ooooh @ that quote from Thunderhead! I just got Scythe from the library, so now I have to work that into my reading schedule for June. I've been looking forward to diving into the series for a while. Same for The Wild Robot, which I've been meaning to read and haven't, yet. Now I have both "first books" checked out and just waiting to be weaved into some good reading time. I hope you enjoy Turtles All the Way Down, too! Thanks for the shares and reviews, Linda, and have a wonderful week! Hoping you enjoy both those books, Shaye! 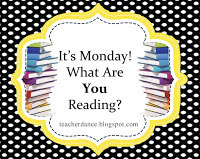 There are so many great reads, it's hard to choose what's next. Have a good week, too! I should probably read Turtles All the Way Down too. We Are Brothers looks wonderful--sounds like a good mentor text for some of the writing that my composition students enjoy. I had hoped my library would have, but no.... will have to suggest they purchase! I've had the John Green book since it came out, but others just got in the way, am looking forward to it. 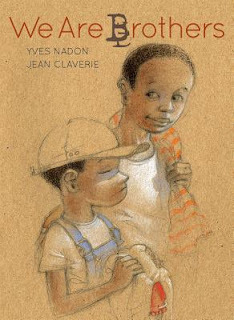 We Are Brothers is a lovely book with just right text and gorgeous illustrations. Hope you find it soon. Thanks, Elisabeth! 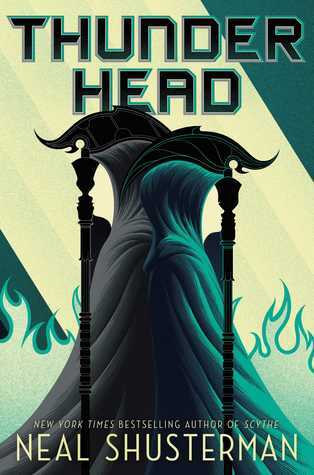 I enjoyed reading your comments and the quote from Thunderhead, it is such a difficult book for me to talk about when people haven't read it that I enjoy reading other people's remarks. That is a series I will re-read (maybe just the first two before I read book 3) as there is so much to think about. The Key to Everything looks very interesting, and I appreciated your comment about the stereotyping of the workers. I find with that type of subject material, that this is a bit of a trap but if the rest of the book is great I can look past it. I am going to add it, and We Are Brothers. We Are Brothers sounds just like a poem I used to use when I taught at middle school. That was so long ago I can't even remember the title but I will have to dig that up as well. Thanks for a great post! You're welcome, Aaron. I agree that with some books, like Scythe and Thunderhead, it's a challenge to know how much to share. I usually go with my feelings more than real facts. I hope you like We Are Brothers, and find that poem! Even though the plots are very different, I kept thinking about Mossy by Jan Brett when I read The Town of Turtle. 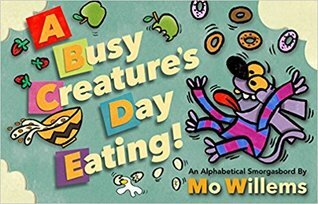 I didn't know Mo Willems has an alphabet book. It looks cute. I discovered the Mo Willems while browsing at my library. It is fun! I don't know Mossy, but do love Jan Brett's books, so will look for it, Lisa. Thanks! The Key to Everything sounds very good! I LOVE Neal Schusterman (especially the Unwind series) but haven;t read this new series yet - I need to get moving! Thanks, Sue, and I need to go back & read the Unwind series. So.many.great.books! 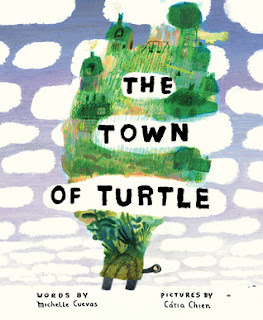 I read The Town of Turtle this week too, but I didn't love it. I'm wondering how kids will react to it? The Town of Turtle is a new way to look at community and it would be interesting to see how children view it, I agree. I enjoyed it, but it is quirky, I agree. Enjoy Scythe when you can! Thanks, Michele. Thank you for telling me, Kellee! Oh, how will we survive for another year and a half! Ha! Read other good books, I suppose. Who knew Mo Willems had an alphabet book? Can't wait to see kids' reactions to this text and the illustrations. It's very cute, and I hope you like it, too! Thanks! The Town of Turtle might be a good read aloud at the beginning of the year. Thanks for the recommendation! I’ll check it out. Thanks, Laura, you're right, a way to talk about building that class community! I never ready Scythe. (I know, I know). I've read almost every other Shusterman book, too! Now that everyone is raving about Thunderhead, I'm feeling REALLY BEHIND! I'm guessing that each of us feel behind, Ricki. There are so many good books available to us. You're reading others that I put on my list, too! Enjoy them when you can! Maybe it's better to read later when it's closer to the final one? We are Brothers looks fascinating and beautiful. Placed it immediately in my Goodreads to-find list. Your reflections about Thunderhead is precisely the reason why I am not reading the Scythe series yet, although I have both books on my shelves - waiting for the third book to come out, and I shall then binge read. :) Really looking forward to it. I imagine you will love We Are Brothers, Myra. And I understand about the series. I will probably need to re-read the first 2 when the 3rd arrives. Thanks!